With its golden-domed, Iznik-tiled Arab Hall, the sumptuous orientalism of Leighton House – former home of the Victorian painter Frederic Leighton – is the ideal setting for Danyal Dhondy’s and Nick Pitts-Tucker’s new opera Shahrazad. Based on tales from the 1,001 Nights, and its framing story in which Scheherazade evades execution by recounting the cliff-hanging tales to King Sharyar, it begins on the 999th night, and so follows the last three tales. 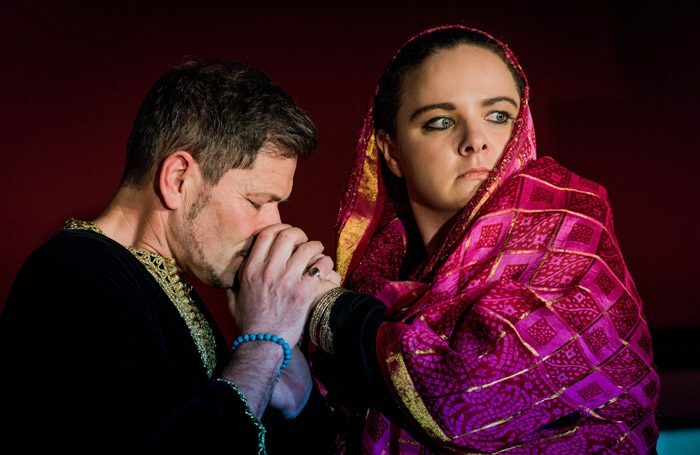 The multiple songs nested within the first tale rather stunt the dramatic flow before it gets going, but Peter Brooke’s resonant Haroun and Philippa Boyle’s luscious Abbasa (Haroun’s sister) are ideally matched. Boyle also sings the role of Shahrazad, bringing a hypnotic quality to her exotic modal writing as well as cleanly chiselled consonants. In the subsequent night’s story, concerning the forbidden love of Prince Jasmine and Princess Almond, both parts are sung by females – novel but unnecessary – with the other roles taken by the versatile Martin Lamb. The final tale is a continuation of the first, drawing on themes of infanticide and filicide. Scored for piano, oboe/cor anglais, violin, cello and tabla, Dhondy’s music cautiously rolls in Eastern elements, but is just as likely to draw on jazz, as in the 999th night’s Song of Jasmine. But while the vocal writing is pliable and expressive the ensemble writing is often bland and texturally one-dimensional. The sweeping and exotic narrative of these tales has inspired enticing sound-worlds from Rimsky Korsakov, Ravel and others. Dhondy’s score lacks richness by comparison, though director Nina Brazier makes ingenious use of the intimate space.